Thomas Jefferson championed vegetable cuisine, plant experimentation, and sustainable agriculture. The 13th Annual Heritage Harvest Festival, hosted by the Thomas Jefferson Foundation in partnership with Southern Exposure Seed Exchange, and Seed Savers Exchange celebrates Jefferson’s legacy, and the contributions to American cuisine by enslaved workers, in a family-friendly, exciting, affordable and fun-filled atmosphere, promoting gardening, sustainability, local food, and the preservation of heritage plants. The 2019 Heritage Harvest Festival will be held on Saturday, September 21, at Monticello: on the historic West Lawn, in the vegetable garden, and in Jefferson’s Lower Grove. The venue provides a beautiful showcase for the restored gardens and features the wealth of Monticello’s programs in not just gardening, but also natural history, foodways, and the roles of the entire plantation community. Learn about organic gardening, seed-saving, cheese-making and southern recipes. Explore Jefferson’s 1,000 foot long vegetable garden and ornamental mountaintop landscape. Taste hundreds of heirloom tomatoes, melons and peppers and savor local artisan jams, honey and chocolates. Learn new and period cooking techniques at chef demos, pet heritage breeds of animals with the kids, or revive your own kitchen garden at the 12th annual Old- Timey Seed Swap. The festival highlights American chefs and foodways by exploring the diverse food cultures that comprise Southern and Mid-Atlantic cuisine. Native American, European and African influences are weaved throughout the dishes prepared by today’s Southern chefs. African traditions in particular have had a profound impact on the flavors and methods of the each region’s cookery. At the heart of the Heritage Harvest Festival are educational programs on seed-saving, botanical medicine, heirloom varieties, sustainable agriculture, organic gardening, edible landscaping, regional cookery, and other aspects of sustainable living. Interpretive tours of the restored Monticello garden, plus specialty tours on natural history and native plants, will take place every hour. Monticello will come alive with cooking programs highlighting the little mountain’s cross-cultural legacy. The Heritage Harvest Festival is a grassroots, volunteer-oriented event with serious educational goals. 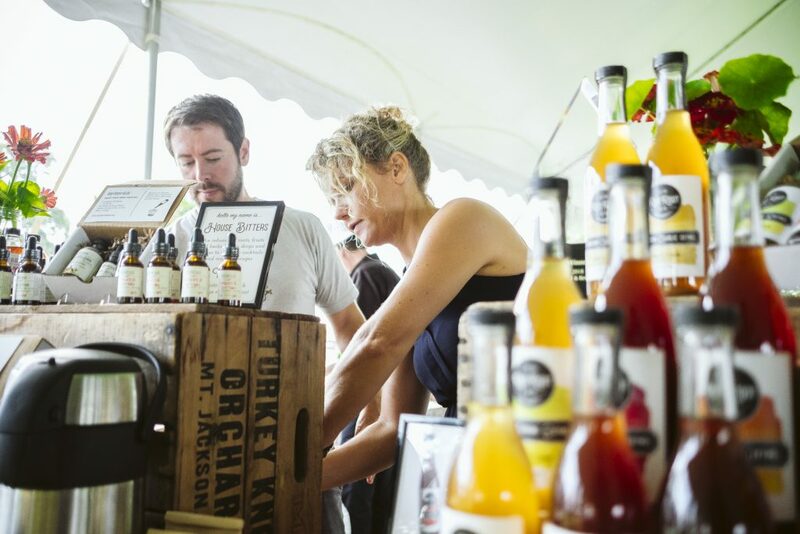 The festival seeks to educate garden and culinary enthusiasts preserve heirloom plants and foodways, and celebrate Thomas Jefferson’s agricultural and epicurean legacy. We invite you to join us for a meaningful and fun day celebrating sustainable living and the good things that come from the earth. Southern Exposure Seed Exchange offers more than 700 varieties of vegetable, flower, herb, grain and cover crop seeds. We emphasize varieties that perform well in the Mid-Atlantic and Southeast, although gardeners and farmers from all over the country grow our seeds including many unusual Southern heirlooms. Seed Savers Exchange is a nonprofit located in northeast Iowa that has been dedicated to growing, saving, and sharing heirlooms seeds since 1975. In addition to stewarding the largest non-governmental heirloom seed collection in the nation, Seed Savers Exchange shares and facilitates a nationwide seed swap called The Exchange between 13,000 members. For almost 90 years, Monticello has been maintained and kept open to the public by the Thomas Jefferson Foundation, Inc., which owns over 2,500 acres of Jefferson’s 5,000-acre plantation. As a private, nonprofit 501(c)3 corporation, the Foundation receives no ongoing federal, state, or local funding in support of its dual mission of preservation and education.